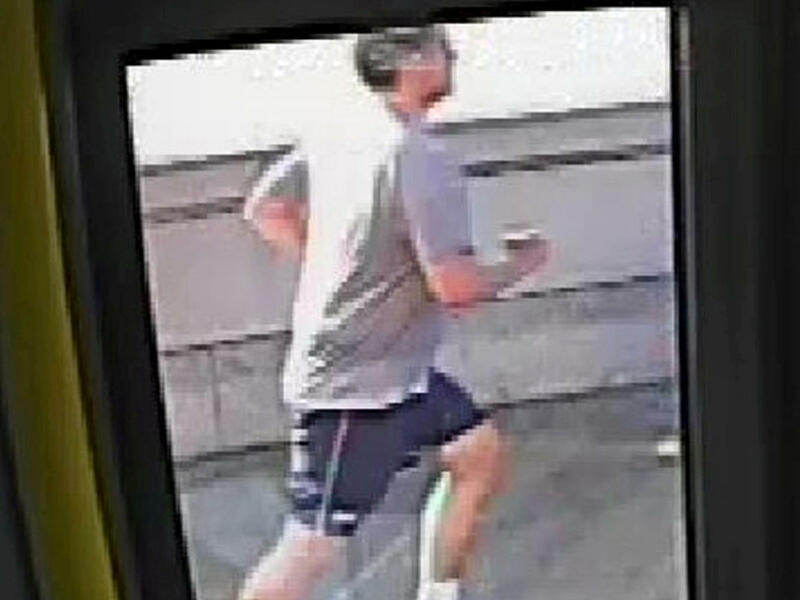 LONDON -- British police searching for a jogger who knocked a woman into the path of a London bus arrested a man Thursday. London's Metropolitan Police force said the 50-year-old was arrested at a home in the Chelsea area of the city on suspicion of causing grievous bodily harm. Earlier this week, police released surveillance camera footage of the May 5 incident on Putney Bridge. It shows a jogger in shorts and a T-shirt banging into a pedestrian, who tumbles in front of a double-decker bus. The bus swerves to avoid hitting the woman, who suffered minor injuries. Police said the bus stopped, and passengers rushed to the 33-year-old's aid. About 15 minutes after the incident, the victim saw the jogger crossing back across the bridge, police said. She tried speaking with him, but he just kept jogging.